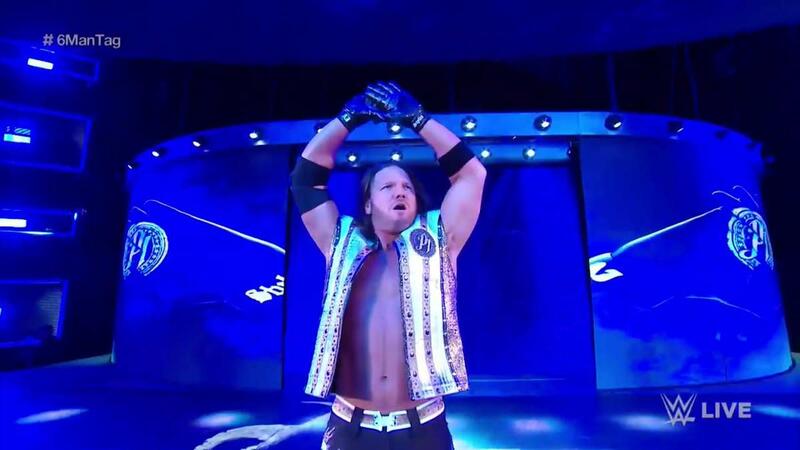 For the first time since the 2016 brand split, AJ Styles is a member of the Raw roster. Styles moved to Raw in this year's Superstar Shakeup. WWE had been hyping that Roman Reigns & Universal Champion Seth Rollins would be teaming with a partner coming over from SmackDown tonight. It ended up being Styles, and they defeated Baron Corbin, Bobby Lashley & Drew McIntyre in the main event of this week's Raw. The match ended with Styles hitting the Phenomenal Forearm on Lashley and pinning him. Rollins hit the curb stomp on Lashley and Reigns gave Lashley a spear before the finish. Styles was a two-time WWE Champion during his time on SmackDown, with his second reign with the title lasting over a year before he lost it in November 2018.